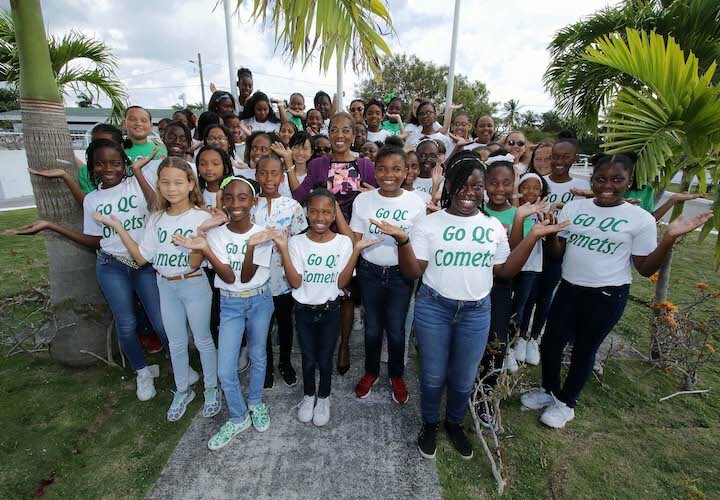 NASSAU, The Bahamas -- As part of the world’s celebration of International Women’s Day, Mrs. Patricia Minnis, Spouse of the Prime Minister, visited and spoke with primary school students of Queen's College, Friday, March 8, 2019. “Not only can men be cooks and nurses, she noted, but women can become mechanics and chefs. Vice principal and head of Primary Years at Queen's College, Sylvia Beneby told the students many other special assemblies were taking place simultaneously throughout New Providence and the country in observance of the day, which is dedicated to women’s empowerment and encouragement. Mrs. Minnis was presented with a Go QC Comets t-shirt.